Have you experienced burning pain, tingling and numbness that radiates from the palm of your hand into your fingers? If so, relief is not only on its way, it’s here and established. What you may be experiencing is Carpal Tunnel Syndrome. Symptoms may start gradually and increase with frequency, with the thumb, index and middle fingers the most affected. Your ability to grip is even decreased, which is a scary result of Carpal Tunnel Syndrome. Why are symptoms so painful? 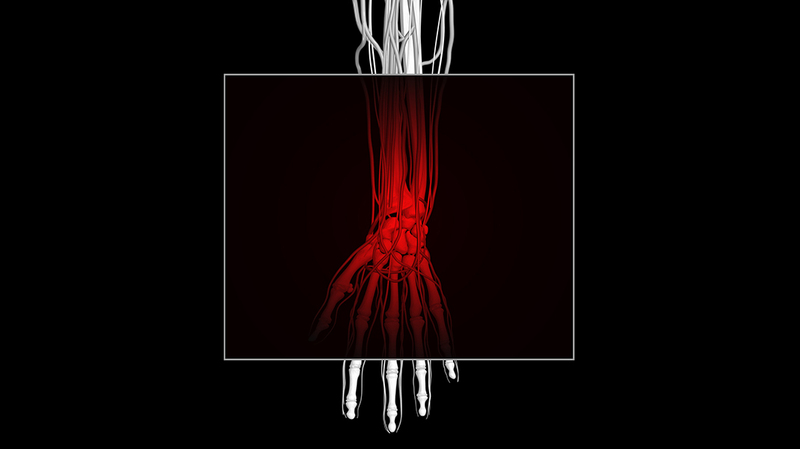 Your median nerve is being crushed in between inflamed ligaments. What is a nerve? A nerve carries information from the environment back to your brain. This information may be painful, as in the case Carpal Tunnel Syndrome. Have you ever put your hand too close to a hot stove? Your sensory nerves carry this painful signal back to your brain. Your motor nerves tell command your hand to move away-quickly. But, what happens when you can’t move your hand away from a painful signal? That’s right, the situation worsens, as in Carpal Tunnel Syndrome. When you experience chronic pain, and it continually worsens, your body feels helpless and defends itself with an inflammatory response. According to some experts inflammation and stress are two of the main causes of all disease. Yes, all. If a house has a fire inside one room, does the fire stay in that room or does it spread? You’re right, it spreads. This “fire,” or inflammation, does so gradually, setting off other alarms in your body. So, you see, just like in a room that’s on fire, your body also recognizes the fire and tries to defend itself by using an inflammatory response. Unlike sprinklers in a house fire, the inflammatory response doesn’t “cure” the fire, or pain. What gives you relief? What really gives you relief, while naturally lets you become stronger? Would you like the pain to go away, plus giving you back your grip strength and your life? Chiropractic. If that surprises you, that’s OK. Since most, if not all, experts agree that Carpal Tunnel Syndrome is caused by median nerve entrapment, which may cause up to $30,000 damage in each injured worker! Chiropractic is not the unexamined technique of magic elixirs that some thought it was. Chiropractic is a science. Chiropractic works. Chiropractic gives you relief from Carpal Tunnel Syndrome and from many other painful maladies. Do you want lasting and powerful relief from your painful Carpal Tunnel? See your qualified chiropractor today to get scientific, powerful and lasting relief. Chiropractic- A “new” treatment with scientific results-gives you relief today.